Having had a really good response to Part 1 of my Italian travel tips, here are a few more. These are tips about travelling to, and staying in, the places we know and love. As you drive south from Rome and into Naples you see Mt Vesuvius on the left and the Bay of Naples on the right. Ahead is the Amalfi Coast and the long and windy drive over the hill to Positano. But closer to the highway you’ll see the parts of Naples that don’t appear on the tourist maps. The south of Italy is poor and driving through the suburbs of Naples you can definitely see that, with low cost housing blocks scattered among allotments. 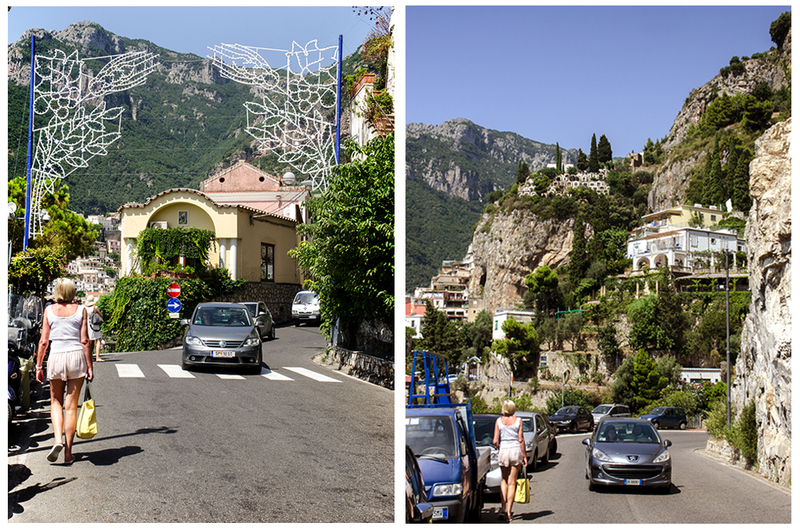 As you approach Sorrento, village living takes over with the houses pushed up against each other and the road narrowing to a single lane in places. 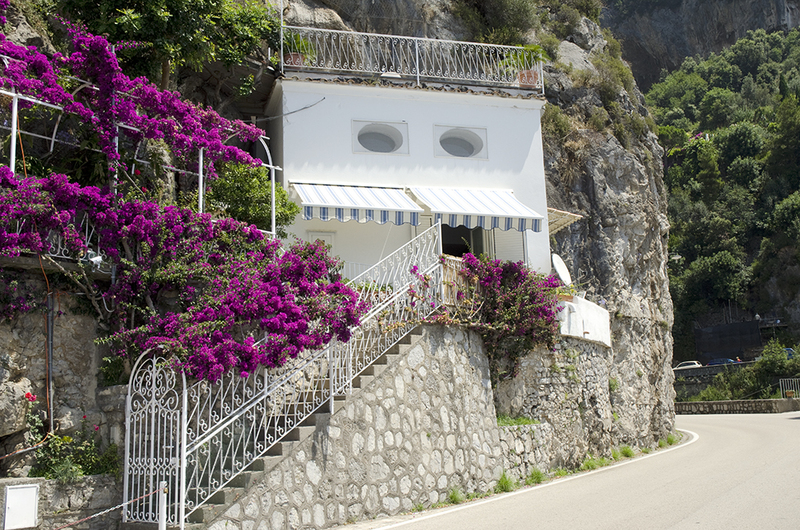 After the turn off to Positano you climb up over the peninsular. There are some spectacular views back towards Naples but the best is yet to come. 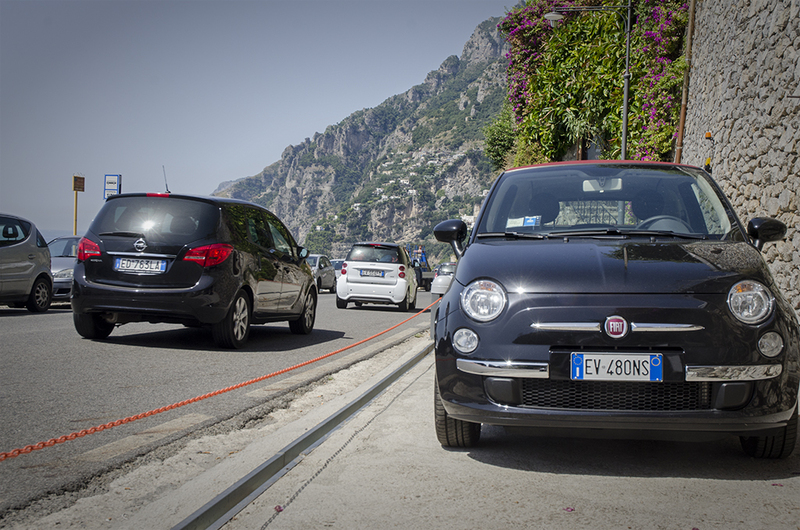 After cresting the hill the Amalfi Coast is laid out in front of you. 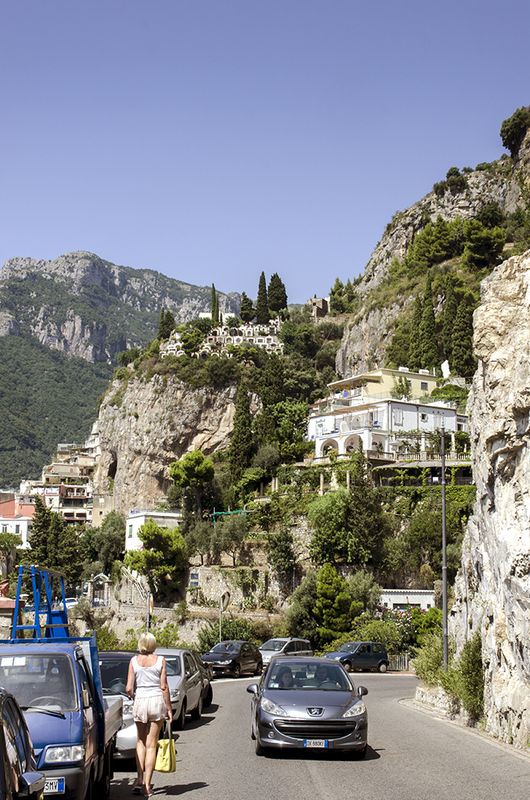 Sparkling waters, steep cliffs and the string of villages that run towards Amalfi are all visible as you wind along the coast road. The villa we stay at in Positano has a full kitchen, and whenever we stay there is the dilemma – eat in or eat out. 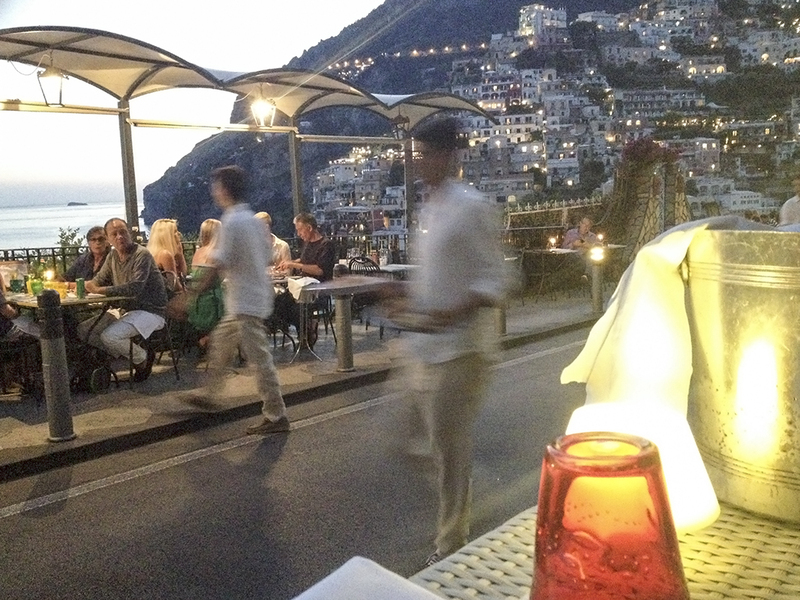 Going out means picking from one of the multitude of restaurants or cafes in Positano and for a short stay the decision is relatively easy. But remember to make a trip to the Alimentary and stock up on the essentials – nibbles, fruit and veg and something to drink – to combat the heat. The good news is that pretty much every grocery store sells alcohol – beer, wine and spirits. Even the butcher sells wine – which adds a whole new dimension to food and wine matching. We found that taking a photograph of the villa you are staying in on your phone is a great idea, particularly if you are planning to live like a local and get groceries and the like delivered. Walking up the hill from the village on a hot day carrying shopping bags can be a chore – but get them delivered and life become easy. Villa Arienzo has it’s distinctive windows which all locals recognise so showing a picture of the villa is an easy way of explaining where you want things delivered. 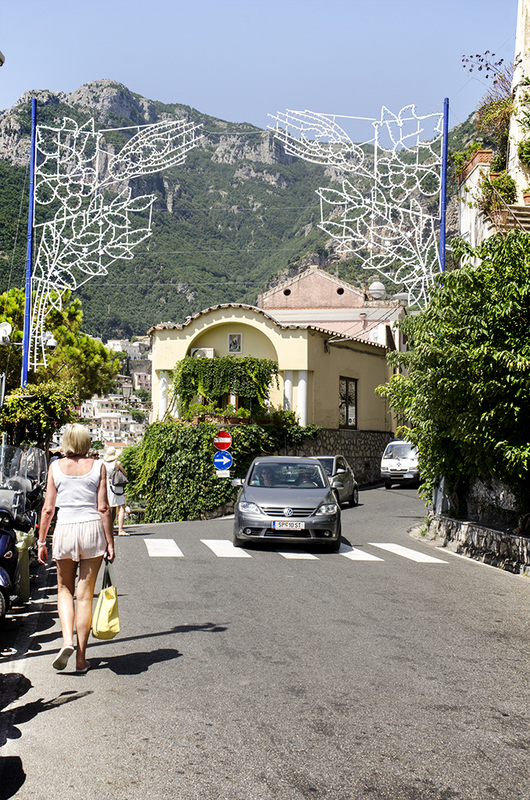 The walk from Villa Arienzo to Positano is about 800 metres. But, as with many things in Italy, it’s an adventure. Why? Because the main road is narrow, cars and scooters are parked in every available spot and there are no pavements – literally none. So walkers have to watch out for cars and buses and trucks and scooters and other walkers. At night use the torch on your phone to see your way – and be seen by others. One of the fantastic advantages of staying at Villa Arienzo over other villas is the “mother ship”. The Casola family own and operate both Hotel Eden Roc and Villa Arienzo. If there are any issues with the villa, or advice you need about anything, the hotel is a phone call away and a two minute vespa ride if assistance is needed. And if cooking is a bit of a chore, the hotel restaurant (with it’s magnificent view across the bay) is always available with service courtesy of our friend Carlo. Tours of Pompeii? A trip to Sorrento? 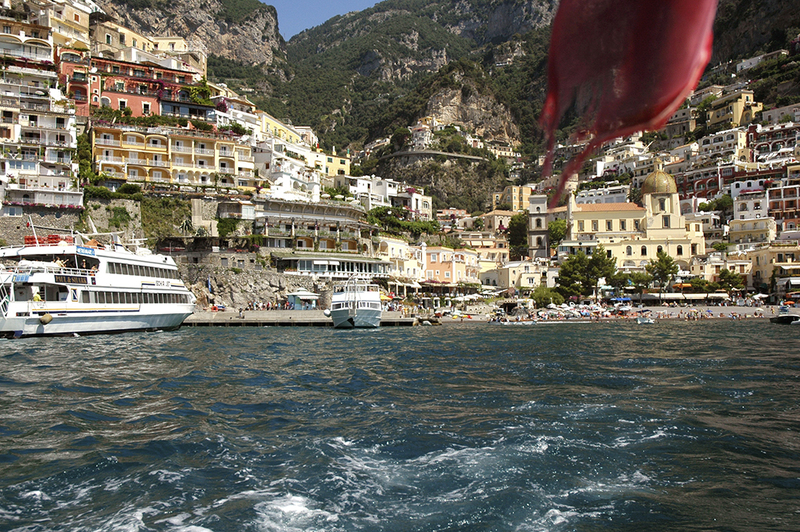 Or a boat trip along the coast to Capri? No problem – everything is organised for you by Lorenzo and the front desk staff. And if the day is too hot for you, call into the hotel for a swim or some sunbath in the solarium, no problem – would you like a drink with that? A day sailing down the coast with Gennaro and Salvatore towards Amalfi with swimming long the way and lunch at a restaurant on the beach. Visit gennaroesalvatore.it to find out more. A day at Pompeii to view the ruins. Everyone we’ve gone there with has marvelled at how intact the ruins are. Get your hotel to arrange a private guide for the visit. A day trip to Capri with Gennaro and Salvatore to explore this beautiful island. A day in Sorrento shopping and wandering the narrow streets of this wonderful town. Remember to take time and have a drink and something to eat at Il Fauno Bar on the main square – it has been there since 1950 and is “the” meeting place for locals and tourists alike. In a previous post we’ve covered our favourite day trips around Chianti and Siena – click here for details and enjoy. This entry was posted in Amalfi Coast, Holiday, Italy, New Zealand, Siena, Tuscany and tagged Amalfi Coast, Holiday, Italy, Positano, Travel, Tuscany, villa arienzo by toscanakiwi. Bookmark the permalink.